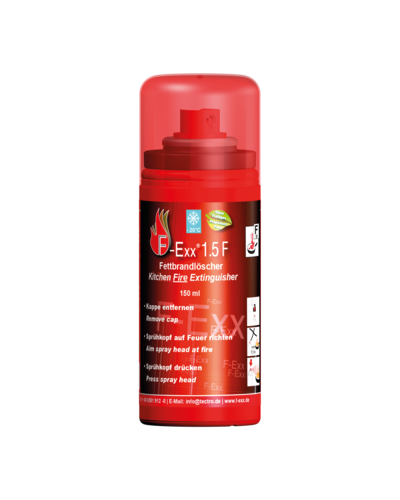 The F-Exx 1.5 F is a high-performance, liquid extinguishing agents based on organic salts designed for small grease fires. The product can be used at temperatures ranging from -20 °C up to 70 °C. 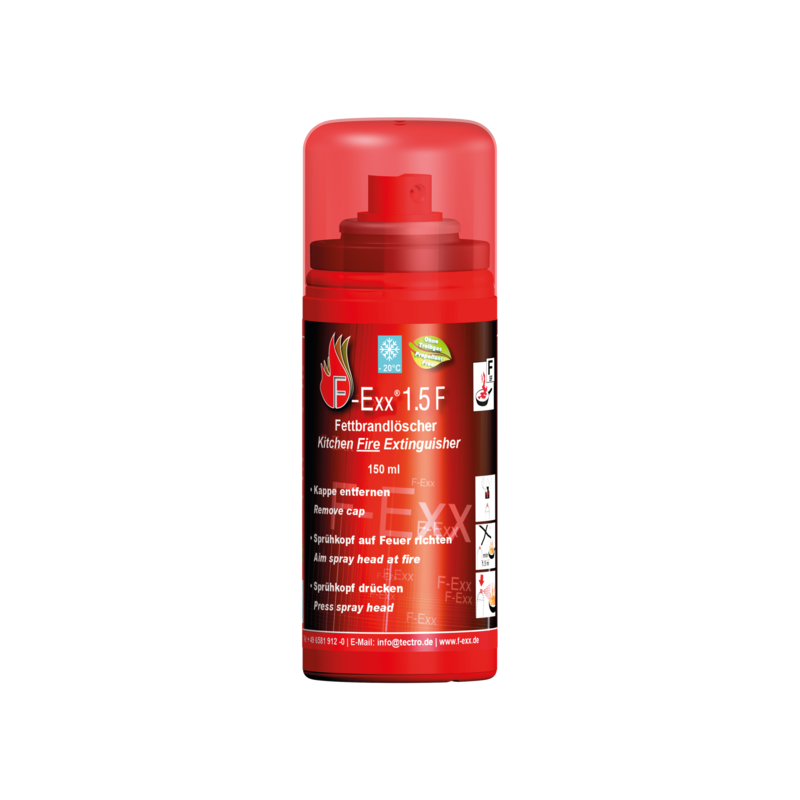 The small grease fire extinguisher with a net content of 150ml offers high performance in spite of the compactness of the system. The spray allows for easy, intuitive operation even for inexperienced users. 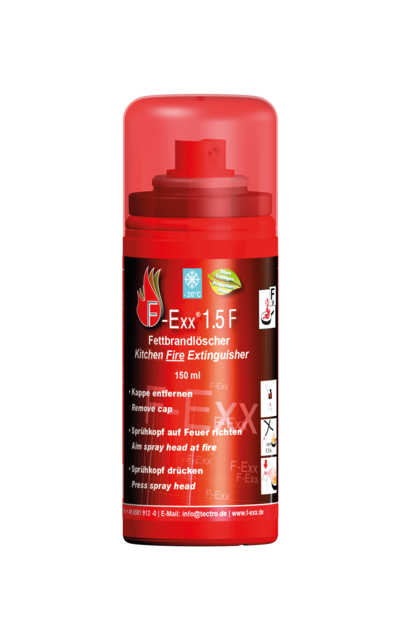 The ingredients of the grease fire extinguisher are biodegradable and can be simply wiped away after use easy. The bottle can be easily disposed of in the household waste. The extinguishing system has a maintenance-free shelf life of five years.